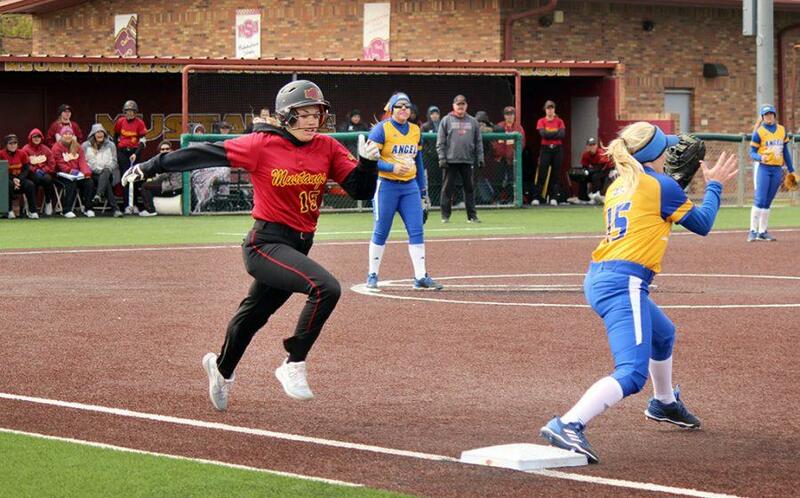 The softball team faced San Angelo State University on April 7 at Mustangs Park. The team lost both games of the series on April 6, the final scores were 3-8 and 7-3. The team lost the final game of the series 1-3 in eight innings. Carli Woosley, utility player and mass communication junior, made the first and third out at the top of the first inning. At the top of the second inning Caycee Griffin, shortstop and biology freshman, and Taylor Brintzenhoff, senior infielder, both completed plays to gain outs. Abbie Lancaster, pitcher and psychology junior, made a strikeout in the top of the second inning. Neither team was able to gain a run in the first three innings. At the top of the fourth inning Lauren Lindgren, outfielder and elementary education sophomore, caught a pop fly to get the first out. San Angelo was able to gain one run in the fourth inning. At the bottom of the inning, Marley Eller, outfielder and pre-med freshman, made it home when Griffin was at bat. At the top of the fifth inning, Griffin made two outs and Lancaster made the third out. At the bottom of the inning, Lindgren walked on base after getting four balls. The team got three outs before Lindgren was able to make it to home. The sixth inning both teams made three consecutive outs letting neither team a chance to run the bases. At the top of the seventh inning, Lancaster threw another strikeout. In the bottom of the inning, the team had an opening to take the win. Griffin got a hit and made it to first base. 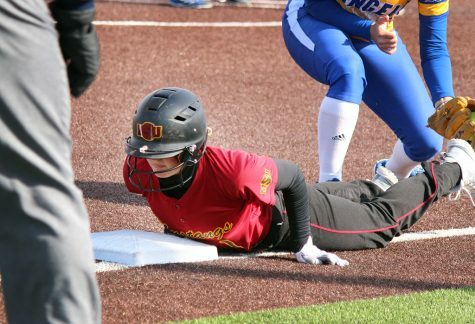 Following her was Tucker Caraway, utility player and nursing junior, was hit with the ball and walked to first base, sending Griffin to second. After her fourth ball, Lindgren walked to first base, fully loading the bases. Thomas was next at-bat with the based loaded. She hit the ball and ran towards first, as Griffin ran towards home San Angelo got her out. They were able to make a play and get two others out completing three outs with one play. At the top of the eighth inning, San Angelo had two players make it home. At the bottom of the inning, no one was able to make it on to base completing the score of 1-3. The team’s record is 13-19 after the players lost the series with San Angelo. The team will return to Mustangs Park April 20 playing Tarleton State for the last series before the Lone Star Conference championship.